Rick Steves’ Pocket guidebooks truly are a ?tour guide in your pocket.” Each colorful, compact book includes Rick’s advice for prioritizing your time, whether you’re spending one or seven days in a city. Everything a busy traveler needs is easy to access: a neighborhood overview, city walks and tours, sights, handy food and accommodations charts, an appendix packed with information on trip planning and practicalities, and a fold-out city map. 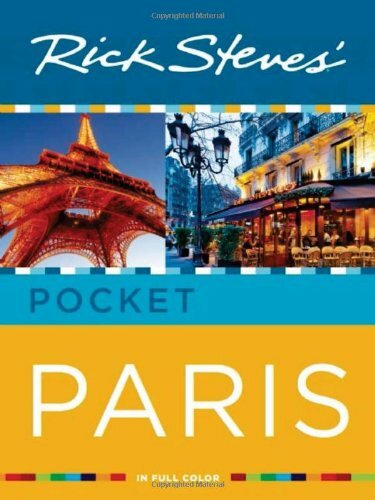 Included in Rick Steves’ Pocket Paris? Recently went to Paris for the first time and we only had 3 days. Read the Pocket Paris guide prior to the trip and with a bit of planning was able to see: Notre Dame, St. Chapelle, Arc de Triomphe, Versailles (all of it! ), Louvre, d’Orsey, Tuileries Gardens, Eiffel Tower… plus many cafe’s and shops. I downloaded the Audio for Paris – the Paris Cafe podcast was great. The pocket guide was the perfect size, I referenced it (and the maps) often. I highly recommend this guide for any first timer, his tips are helpful – metro info, museum passes, how to avoid lines and even how to be respectful to the french people – saying Bonjour really worked! The walking tours are great and his commentary is informative and even had us laughing a few times. For any future European trips I take, there WILL be a Rick Steve’s guide in my bag! Rick Steves is one of the most popular series of guides to travel. We were in Paris for 4 days this summer, and used the book as a quick reference guide. The organization of the book is much like the other guides. It is about 4.5 by 6 inches, 235 pages or so. The first pages of introduction gives a synopsis of Paris’s neighborhoods: Monmartre, Champs Elysees, Eiffel Tower, Major, Historic Core, Left Bank, and Marais. The Daily Reminder gives a succinct overview of special hours for attractions on different days of the week. On first Sundays, for instance, major museums are free (good to know, as we assiduously avoided the crowds) and the fountains run at Versailles in the summer (April to October). The guide gives a list of sites that are closed on certain days of the week. Puppet shows at the Luxembourg Gardens take place on Fridays and Saturdays. Some sights are open late on Thursdays, Fridays, and Saturdays (Notre Dame towers, Bateaux Mouche). The guide gives information on hours for the Metro. The back of the book includes a detailed map of Paris, and a map of the Metro. These were invaluable to us, and much more informative the the tourist maps you get at the hotels, which are festooned with ads. They were sturdy too. Despite our flipping back and forth, taking the book in and out of backpacks, the map only ripped in one corner (the one attached to the book). The remainder of the book contains several walking tours of major sites: Historic Paris (Notre Dame area), Louvre, Orsay Museum, Eiffel Tower, Rue CLer, Versailles. It gives detailed information on how to take the train to these areas and which stops to get off. Telephone numbers are given. We had kids ranging in age from 8 to 15 with us, and in general they did not want to see every sight on the tours, which still gave us plenty to see and do. In the back is a map of France. The Metro stops are marked on the main city map. Note: this is a brief and populist guide. It is good for an overview, but not for any kind of detailed historical or academic treatise of the major sights. For this kind of information, I recommend doing research before your trip on the internet, as each major sight has a website. As well, the Blue Guides will bring more life to the tours. We learn interesting little tidbits of information: for example, that St. Denis holding his head is a signature statue above the left door of Notre Dame Cathedral (he was executed by decapitation but in true saintly fashion did not immediately die, but picked up his head and walked for some distance). If you want a more detailed book, you’re going to have to buy (and carry) a heavier book. We did not use this book for restaurant recommendations or hotels. We used a Tripadvisor city app: take the recommendations with a grain of salt, as they are not always unbiased. So, why a guide book and not a smartphone app? Smart phone apps (maps, Tripadvisor, etc.) have an advantage in that your GPS location is available, and the distance to various sights can be accurately estimated. However, smartphones are difficult to see in the sun, and the information you want is not always easily searchable. It would be cool, for example, to wear Google Glass and have it link to Wikipedia. Great, but it’s way cheaper to buy a book. 1. Eat at Paul, a wonderful cafe on almost every corner in Paris – they are affordable, delicious, and almost all people who worked there spoke English. 2. Go to the comptior des catacombes (if you can stomach it) but get there early! We waited on line for 2.5 hours, but it was sooooo worth it! 3. In the Musee d’Louvre – the section Rick highlights in the book is good, but if you have the time, go to some of the other wings, especially the sculpture garden, the Egyptian and Middle Eastern art section, and Napoleon’s apartment. Overall, the guide was phenomenal. 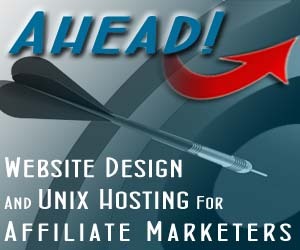 Am using it still to figure out where to go on my next visit to Paris!